Lou attributes it all to his use of dietary supplements and God’s steadfast guidance in his life. It’s been a bumpy road for Lou, having abused his body with street drugs and alcohol in his younger years, and having undergone prolonged stress to earn a living as a fire sprinkler designer as well as an extended ordeal taking care of his wife as she slowly died of cancer in more recent years. As stress increased Lou would experience another heart attack (twice while sitting with his wife in the hospital as she awaited cancer treatment) and his blood sugar would roar out of control as well, requiring him to go back on anti-diabetic drugs or take insulin. Lou’s health saga began in 1996. He began to urinate frequently and had lost 45 pounds. He developed unquenchable thirst and was drinking up to 3 gallons of water a day. He also experienced unbearable leg cramps. Like most males, he resisted seeing a doctor. His friends and family finally persuaded him to make an appointment at the doctor’s office. The doctor had a concerned look on his face. There was good reason. The finger-stick blood sugar test in the doctor’s office was abnormal. So abnormal, the nurse thought the blood sugar analyzer needed a new battery, and once it was replaced, Louis’ blood sugar test was repeated. There was no problem with the machine. His blood sugar was so high, above 450 — the machine couldn’t read any higher. Louis fell asleep in the doctor’s office, typical for a diabetic with such uncontrolled blood sugar. The doctor advised Louis to obtain a blood sugar test from a local laboratory that had more sophisticated equipment. He drove himself to the laboratory and back, with a blood sugar that would have thrown most diabetics into a coma. The laboratory called the doctor with the test results. He then called Lou and advised him to go to the emergency room right away. Louis reluctantly said he would go in the morning. The doctor called back moments later and wanted to speak with his wife. Louis’ blood sugar level was 750. The top of normal range is 200. The doctor was trying to gently break the bad news to his wife, believing at the time that the super-high blood sugar level might be a mortal sign of pancreatic cancer, for which there is no successful treatment. Finally, Louis went to the emergency room at the county hospital, Ventura Medical Center, where he again fell asleep in the waiting room. By now Louis’s mouth was dry. He had no saliva in his mouth that morning. A nurse ushered him to an exam room and took his blood pressure. It was ghastly low. She quickly summoned a physician. Louis was extremely dehydrated. He needed intravenous fluids, 13 bottles of IV fluids in all before that night was over. His blood sugar level upon hospital admission was 1150! His doctor says this is the highest blood sugar count on record. Louis was attempting to tell his doctors and nurses about his faith in God while he was undergoing frantic treatment by the medical staff in the emergency room. He looked down, and from his ankles to his toes, his skin was blue. His circulatory system was shutting down. Two days later, in a hospital bed, one of his emergency room doctors paid him a visit and told him he came within minutes of dying. Louis was closer to God than he had thought. Louis was referred to a diabetic specialist. He immediately told the doctor he didn’t want to take insulin injections. So the doctor put him on oral insulin. The pills didn’t work. Two days later he returned to see the doctor and began receiving instruction on how to self-inject insulin. When he returned home, his vision was so bad that he had to place two pair of reading glasses, one on top of the other, in order to see, until he could get a new eyeglass prescription. Louis also began to lose sensation along the sides of his legs, his forearms and tops of his toes. Diabetic neuropathy was setting in. It was 8 months before Louis was strong enough to return to work full time. Louis experienced hypoglycemic episodes daily. He had to carry food with him at all times to keep from passing out. His wife learned to cook meals and to adhere to strict meal times to keep her husband’s blood sugar levels constant. Every insulin-dependent diabetic knows the importance of regular meal times. Up to this point Louis was struggling with his disease. No cure was in sight. Most diabetics face inevitable loss of vision, impaired circulation, high blood pressure, and worse. Long about 1996 I first heard of Lou’s health problems and had occasion to educate him about some measures he could take to allay his diabetes. Louis was advised to take food supplements, with strong doses of vitamin E, vitamin C, thiamin (vitamin B1), magnesium, chromium, niacin, biotin, zinc, vanadium, alpha lipoic acid and some herbs like bilberry, lutein and milk thistle along with flax seed oil and large doses of vitamin B12. I explained to Louis that the fatty insulation (called the myelin sheath) around his nerves had deteriorated and needed to be rebuilt. Louis followed instructions and took the food supplements religiously. His wife was vigilant in helping him take his vitamins. Louis says he was determined to try the supplements for 3 months, and if no changes occurred, he would quit. In just 3 weeks he began experiencing noticeable improvement in his health. “I noticed, for the first time in months, I was thinking clearly,” remembers Louis. I also spent time teaching Louis about IP6, also called phytic acid, a component of whole grain diets, found in the bran of seeds and grain. I explained to Lou that IP6 was found to rescue the insulin-secreting cells in his pancreas over a decade ago. Modern medicine had ignored this discovery. Days later, while at work, Lou brushed up against an unfinished dry wall, and the point of a nail cut his leg. He was excited. He could feel the pain from the cut for the first time in months. The diabetic neuropathy was disappearing. After 3 months of taking the vitamins he had regained full feeling back in his arms and legs. By October of 1998 family finances were slim, so the last thing Louis needed was to lose his prescription eyeglasses. He had left them on a construction job and one of the cleanup crew had thrown his glasses in the trash. Louis couldn’t function without his glasses, so he went to the eye doctor for a new prescription. His eye doctor is a specialist in diabetes, and was amazed at Louis’s eyes. There were no signs of diabetic eye problems, or swelling at the back of his eyes. Small hemorrhages in the back of his eyes had disappeared. His eyeglass prescription had actually improved and he needed a thinner prescription than before. Prior to starting on his dietary supplement regimen, Louis had been experiencing high blood sugar in the morning, around 190, and low blood sugar in the afternoon, around 85. On his third trip to visit with me, Louis sat at the breakfast table, just months after starting on his regimen of food supplements, and calculated his average blood sugar for the previous month — 128, in the normal range! Louis’ need for insulin was diminishing now. His doctor split his insulin dosage. When he first was discharged from the hospital, Louis needed 55 units of insulin in the morning and 35 at night. Now he was down to 15 units in the morning, 10 in afternoon, and 10 in evening. The doctor suggested Louis undergo a hemoglobin A1c test. This is a fast-moving form of hemoglobin (red pigment) in the blood. High hemoglobin A1c levels signal a disruption in sugar metabolism. His hemoglobin A1c at the hospital was 12. Louis didn’t have the money for the test at the time, so he put it off for a year. Finally Louis went back to the doctor’s office for the test. He waited at home for the results. Louis couldn’t believe it. The test doctors use to chart the progress of diabetes showed he was normal. His family was overjoyed to hear the news. Louis was advised by his diabetic doctor that he would be placed on Glucophage pills and he would be weaned off insulin. He only needed 10 units at bedtime. But now Louis couldn’t get to sleep. He was itching all the time. He was taken off insulin altogether. The symptoms didn’t completely subside till two weeks later when he was finally taken off the oral medication as well. His doctor asked Louis to chart his blood sugar levels for 3 more days. His 3-day average was 132, perfectly normal, without any medication! But the stress of his wife being diagnosed with cancer caused Lou to have to go back on low doses of insulin. The first of Lou’s four heart attacks occurred in 1998 while he was waiting with his wife to undergo cancer treatment. His legs began to shake, and it felt like someone was sitting on his chest. He shrugged it off but didn’t feel good for a week, so he went to the Veterans Hospital Medical Center and underwent his first electrocardiogram (EKG), which revealed damage to the heart. About a year later Lou and his wife went to the hospital again, and he experienced another heart attack. Then again, while at the City of Hope cancer hospital where his wife was undergoing treatment, Lou experienced his third heart attack, which he largely ignored. He didn’t want to cause worry for his wife. His fourth heart attack was more severe and occurred in September of 2005 at home. Ambulance personnel had to place five nitroglycerin tablets under his tongue to relieve his chest pain. Lou says he had never been through such pain in his life. The electrocardiogram in the doctor’s office revealed three prior heart attacks, and now this fourth heart seizure. His doctor advised him to take a baby aspirin and wrote him a prescription for a calming medicine, which he didn’t take. I again had occasion to meet and talk with Lou. He brought me up to date on his health status. I explained to Lou that a Dr. Lester Morrison, a Loma Linda University cardiologist, had cured heart disease in the 1970s, in the era prior to cholesterol drugs. Dr. Morrison employed two dietary supplements, first lecithin, and then more powerfully, chondroitin sulfate, to eliminate arterial plaque and to eradicate scarring (fibrosis) of heart muscle following a heart attack. Dr. Morrison published convincing photographs of how the heart tissue healed after a heart attack when given chondroitin sulfate. Lou said he would take those. I also suggested he supplement his diet with fish oil, magnesium and a pill that combined resveratrol, quercetin, IP6 from rice bran and vitamin D.
It was September 27, 2009 when Lou underwent another EKG, after he had been taking the above dietary supplements for quite a few months. The doctor’s technician thought there must have been some mistake, as his electrocardiogram showed little or no evidence of any prior heart attack. Possibly the EKG technician had mixed his test with another patient’s test by mistake. The electrocardiogram was repeated. The results were the same. The doctor’s assistant was dumbfounded. This just doesn’t happen. Lou called me to say what had happened at the doctor’s office. Today Lou has trimmed his weight from 215 to 158 pounds and he receives coaching from a military trainer. He works out physically three times a week and in between goes for 8—10 mile bicycle rides. Two knee operations were also recommended, but those operations weren’t needed when I coaxed him into trying an oral hyaluronic acid supplement. Lou says his joint problem returns when he forgets to take hyaluronic acid. Louis’s doctors did a wonderful job of saving his life. But from that point on Louis needed to learn how to manage his diet and take food supplements on his own. This is where modern medicine falls down. There is no one to coach patients back to health. The nutrients recommended to Louis were much more effective, less costly and problematic than his prescription drugs. Chronic age-related diseases like diabetes and heart disease, like Lou suffered with, comprise about 75% of US health care costs. We read news reports that the cost of treating diabetes will triple by the year 2034. We read that one-in-three Americans will be obese by the year 2018 and that the cost of treating these diseases amounts to hundreds of billions of dollars. Had Louis Campos gone the conventional route, he would be on life-long medications, have likely have suffered loss of his vision, would have continued to be overweight, would have undergone two knee operations, would have racked up hundreds of thousands of dollars of healthcare costs, and his lifespan would have been shortened considerably. Frankly, Louis Campos has defied the odds — he shouldn’t be alive today. Studies now show that all diet plans are equally ineffective. Nor does a low-fat diet decrease the risk for cardiovascular disease. Alternatives outside the existing menu of treatments for America’s diabesity epidemic must be explored. Surprisingly, most anti-diabetic drugs cause weight gain and eventual total dependence upon insulin. The reason why conventional approaches to America’s diabesity epidemic don’t work is because heart disease, diabetes and obesity are not drug deficiencies, but they are treated as such. Overlooked nutritional factors can rescue a failing pancreas and even reverse heart disease and diabetes, even at an advanced stage, as demonstrated in the life of Louis Campos. Dietary approaches to avert obesity and diabetes fail miserably because they are not caused by calories, fats and refined sugars per se — they are caused by a disturbed state of over-mineralization. My new book, Downsizing Your Body (256 pages) explains why modern diet plans and anti-obesity and anti-diabetic drugs fail miserably. Would you let me know where can I get the complete dietary food supplement you mentioned in your article “the -man-who-shouldnt-be-alive”, or should I taking all in separately? I am over weighted to my height, and I am concerned about my health at age of 65! it would be wonderful to find all these nutrients in one horse-sized pill. The dosages required make it impossible to provide all what is needed in a couple of pills. The idea here is to cleanse the arteries for may 3-6 months, or until symptoms disappear (angina), and then do this once a year. That way it will not be such a burden on your pocketbook. A friehd and myself gave the same problems as Mr. Campos. Is it possible to reply as to the protocol that Mr. Campos was given as to dosages of above supplements? We really want to gain our health back. I can supply dosage ranges, not prescribe for a particular person. Magnesium 200-400 mg (too much causes loose stool); Vitamin K2 is 80-200 mcg; IP6 rice bran is 400-1600 mg (too much may induce anemia); fish oil is 1000-3000 mg; chondroitin sulfate is 1500-5000 mg (Dr. Lester Morrison prescribed 5000 mg/day for angina patients, but 1500 mg or so works well); hyaluronic acid 50-100 mg. I read this article last week and just found out that my brother-in-law (few days shy of 65 yrs old) has all of these same problems. Diabetic for several years and on oral medication: several heart attacks in the past few years and on Lipitor: now just this week found out he needs a complete hip replacement. My question is: Would any of these supplements interfer with any of the medications mentioned above. 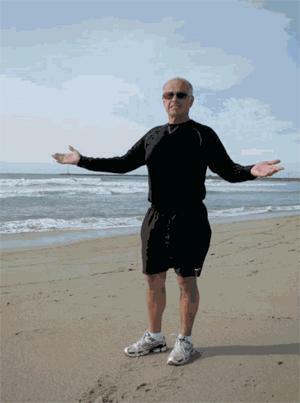 He has postponed the hip surgery til March 2012 and I’d like to recommend he use this protocol until then to see if any or all of his health issues can be resolved. He and his wife are not very “open” to alternative thinking so I’d like to have some ammunition to say this couldn’t “hurt” to try it. Thank you for all of your wonderful research. No, it is the other way around, the drugs interfere with the essential nutrients. There is no way he will ever get well being treated as if he has a drug deficiency. Several heart attacks while on Lipitor suggests that drug isn’t working, and there is simply no study showing Lipitor reduces risk for mortal heart attacks. likely is iron and copper overload. Before submitting to the hip replacement, take oral hyaluronic acid for 3-4 weeks and see what happens. If bone has been lost then surgery may be required. You will have difficulty convincing them to try supplements. Most people grew up in an era of miracle drugs and cannot fathom the supplements are the real miracle molecules. start by supplementing with vitamin B1 (thiamin), preferably as benfotiamine (fat soluble), 100 mg. Then IP6 rice bran extract 1600 mg and magnesium 200-400 mg (not mag oxide, poorly absorbed). On this regimen your blood sugar will be out of balance and you should need less insulin. Your diabetes is not a drug deficiency, which is how the doctors are treating you. Dear Bill’ Will you please help my friend Tony? He has diabetes and has been and out and in of the hospital and nursing home for the past six months. Half of his foot has been removed.He is real frail,only in his mid forties.